Louis or Luis? Dodgers deciding between Coleman, Avilan for final bullpen job. 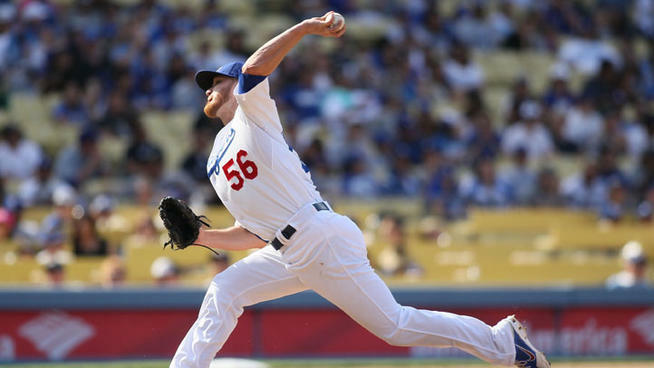 The Dodgers will carry seven relief pitchers on their Opening Day roster, with the final spot belonging either to right-hander Louis Coleman or left-hander Luis Avilan, manager Dave Roberts said Friday. This is Part 23 of a series in which every member of the 2015 Dodgers has his season juxtaposed with an episode of the greatest sitcom of all-time. Don’t take it too seriously. 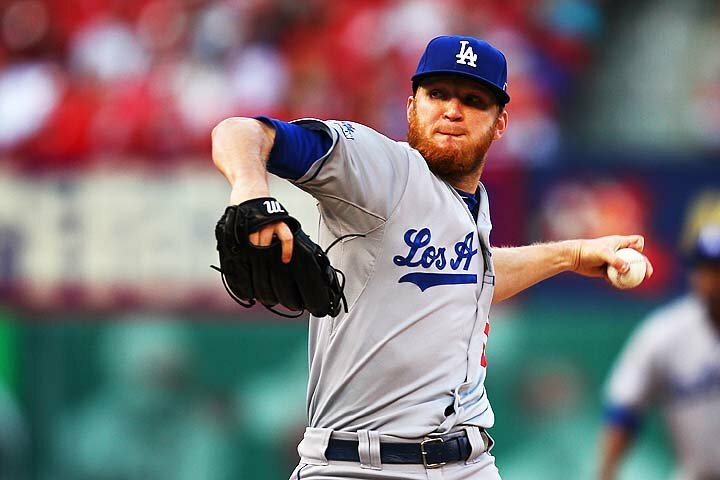 J.P. Howell exercises contract option, keeping him with Dodgers in 2016. 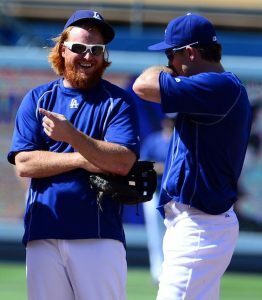 Pitcher J.P. Howell exercised the $6.25 million option in his contract for 2016, electing to stay with the Dodgers rather than become a free agent. Howell, 32, went 6-1 with a 1.43 earned-run average in 65 games in 2015. His 1.97 ERA in three seasons with the Dodgers is the third-lowest of any relief pitcher with at least 200 appearances since 2013. Howell signed a two-year contract prior to the 2014 season. His 2016 contract option became a player option when he pitched his 52nd game of the season in August, then finished the season on the active roster. No Dodgers pitcher made more appearances in 2015 than Howell. He was the primary left-hander in a bullpen that also included Adam Liberatore and Luis Avilan, who arrived in the July trade that sent southpaw Paco Rodriguez to the Atlanta Braves. 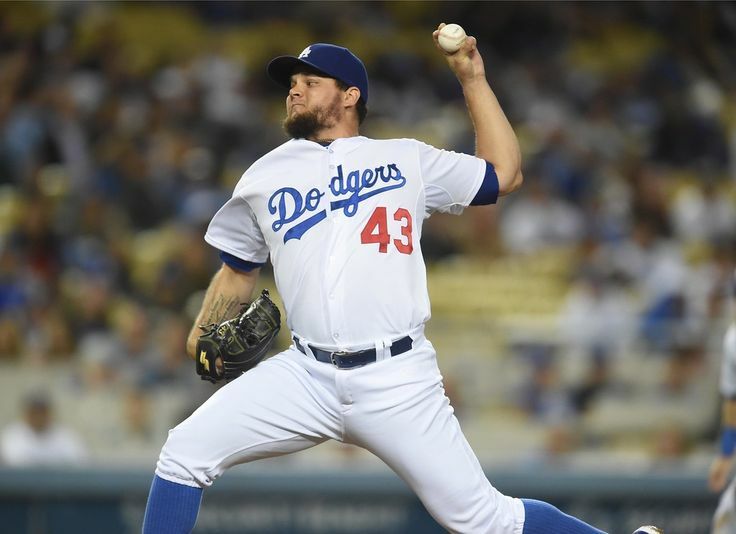 Avilan is eligible for arbitration and Liberatore is under team control, which increases the likelihood that the Dodgers’ top three left-handed relievers will return in 2016. Watch: Kenley Jansen pitches a simulated inning at Dodger Stadium. The Dodgers staged simulated games Tuesday and Wednesday as part of their pre-series workouts for the NLDS against the New York Mets. Game 1 is Friday at Dodger Stadium. On Tuesday, Brett Anderson, Joel Peralta, Juan Nicasio and Carlos Frias faced a group of batters. Wednesday was a bullpen game: Kenley Jansen, J.P. Howell, Chris Hatcher, Luis Avilan, Pedro Baez and Yimi Garcia all threw simulated innings. Yasiel Puig, Andre Ethier, Jimmy Rollins, Howie Kendrick and Adrian Gonzalez were among the batters.